Did you know that as a pensioner you might be eligible for a boiler grant as part of the Government’s Energy Company Obligation? With thousands of homes across the UK looking to get their hands on a new replacement boiler, if you’re a pensioner and you’re in receipt of Pension Guarantee Credit, or other certain benefits, you may meet the criteria required to access the boiler grant scheme. 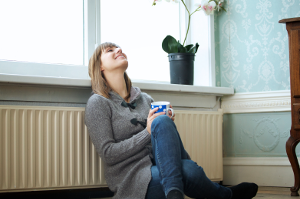 With a new gas boiler typically costing around £2,300, thanks to the Government’s boiler grant scheme, if your existing boiler is broken or inefficient and meets the qualifying criteria you could receive a grant towards a brand new one. In fact in some cases the new boiler installation is completely free, whilst in others you may be asked to make a financial contribution. The grant itself is always free, meaning you will never be expected to pay back a penny of it. The Government’s Energy Company Obligation, known as ECO, is funded by the country’s largest utility companies, including British Gas and the other ‘Big Six’. Currently the ECO scheme offers boiler grants for boilers with the fuel types of gas, oil, lpg and even for electric storage heaters. It is important to note that at the moment funding for gas is very limited under the scheme, so whilst we will try our best to pass your application on to a qualified installer it may take longer than usual. The other fuel types are unaffected by this. More and more pensioners are struggling to meet the demands of escalating energy bills, and with many on limited incomes a new boiler is an expense many simply cannot afford. 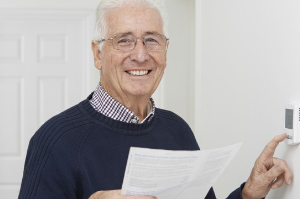 Pensioners in receipt of Pension Guarantee Credit and those who receive Working Tax Credit may qualify for a boiler grant to help them become more energy efficient with a view to bringing down their heating bills. But even if you don’t receive Pension Guarantee Credit you could still qualify for a grant if you get Working Tax Credit or other qualifying benefits. It’s easy to apply for the boiler grants scheme. Simply answer a few questions on the form on this website and submit your application. If it looks like you’re eligible for the grant we’ll give you a call to confirm your details and assess your eligibility, and you’ll be one step closer to being the lucky recipient of a brand new A-rated boiler, which we’ll arrange to have installed by a Gas Safe Registered Boiler Grants installer. We understand that not everyone is able to apply online themselves. If you require help in applying please don’t hesitate to contact us. Alternatively you can ask a family member, carer or friend to apply on your behalf. I am writing this on behalf of my 73 year old neighbour, he has parkinsons and ulcerated legs and only recieves state pension. He has never had central heating or any form of heating in his home. He has worked all his life yet doesnt qualify for any help. But from the various posts i have read and the schemes i have phoned on his behalf he doesnt qualify because he doesnt recieve any form of benefit. can someone point me in the right direction to get him some help? I’m sorry to hear that your neighbour has not been able to get help with his heating. I would recommend contacting your local council first – sometimes local authorities have what is known as flexible eligibility when it comes to the ECO scheme – so they can have flexibility on the criteria they use to identify households who are vulnerable to the effects of living in a cold home. The Energy Saving Trust, as well as Age UK, may also be able to offer some better advice and may know of any other help available. Hopefully this helps, please don’t hesitate to get back to us with any further questions you might have. Hi Tony, I’m sorry to hear that you haven’t been able to get a boiler grant. If you haven’t already contacted them there are a few places I recommend getting in touch with to check there’s no other grants or help available. There’s the Energy Saving Advice Service who can be contacted on 0300 123 1234 (calls are charged at the standard national rates, alternatively you can find them online) or Age UK as both have some great information about heating options for pensioners. It may also be worth getting in touch with your local council to see if there is anything they can do. We’re Ready To Help You & Your Family Whenever & Wherever You Need Us. Support For Families. Support For Veterans. Support For Those Serving. Support A Worthy Cause. Types: British Army, Royal Navy, Royal Marines, Royal Air Force. I am 74years old and my wife 73yrs and we leave in this 14th century listed building in the town center of Stamford, lincs. We would like to have our old boiler to be replaced by a new energy efficient Combi -Boiler. We are both pensioners and would very much like to reduces our heating and energy bill. Can you help us with a grant or even an assisted cost to have the boiler replaced please. I would very much appreciate it if you can advise us accordingly. We are proud and apart from our pension we do not get any benefit or have not claimed any because of the stigma. I look foreward to hearing from you soon. If you are not in receipt of this benefit unfortunately we would not be able to help you with applying for the scheme. You could however get in touch with the Energy Saving Advice Service on 0300 123 1234 (calls are charged at the standard national rates, alternatively you can find them online) or Age UK as both have some great information about heating options for pensioners. Hopefully this helps, please don’t hesitate to get in touch with any other questions. Hi June, thank you for getting in touch. It’s hard to say if she would qualify without a little more detail, so I would recommend filling our online form in, and then one of our team here can give her a call and talk through the application to see if she may qualify under the scheme. It’s worth noting at the moment though that funding is extremely limited for gas boilers (although there is still funding for LPG and Oil boilers), so we would not be able to process her application at this point if it was for a gas boiler. last year I moved into present house I was assured that the combi boiler was passed but they couldnt find the form from the gas board.I had the gas board come to service the boiler whenI moved in only to be told that though it was working that it was old and spare parts wer e not available Iam 80 and have medical condition would I qualify for replacement boiler ..
my wife and I live in a mobile home , the combi boiler is 20 plus years old . I have parkingsons disease and my wife has various medical problems , however she is my carer. I receive attendance allowance but none of the ones that entitle me to a new boiler. The engineer who services my boiler has told me its near the end of it’s viable working life . so what help is there for us. Hi Albert, I’m sorry to hear about your boiler situation. If you are not able to get help from the ECO scheme, I would suggest getting in touch with the Energy Saving Advice Service on 0300 123 1234 (calls are charged at the standard national rates, alternatively you can find them online) as they may be able to advise you on any alternative options available. I started reading all of these emails on your site and I am stunned at the advice given. When something is working well and efficiently including Government schemes then there is no need to complain. The present schemes are not working well and efficiently. The government have only approved this scheme they have nothing to do with the funding. As far as i am aware the “funding” comes from the the amount every consumer in the country pays on their enegrgy bill to the suppliers. The Supplier is the one who decides on how much funding you get. The nominal payment you have quoted of around £200 for extra piping is up to £1000. The Big 6 are dealing with Admin Companies and they in turn are dealing with installers and survey companies. This is where the real issues arise they all have to be paid. There is no organisation dealing with complaints they all advise you to contact each other Ie Energy Advice. I have been trying to have a boiler replaced since August 2014. I do qualify. I have had 2 different surveys and as this is the main information the Energy company has to give the government I have asked over and over “how can completely different figures claim that you will decrease your bills and emissions One of them has to be wrong. In my case I have a third because the house had to have one last year before I bought it. There is no standard guide for these surveys they all have their own vague interpretation of what it should be. No one will give the consumer accurate information and it has taken me months of emails to be given information on what exactly I am being asked to pay for. The stock excuse from the Suppliers is that details of how they work out your particular grant figure contains sensitive information They don’t explain why it is sensitive and Having worked for a company years ago who took part in Government schemes I suspect that the “sensitive information would prove that this whole thing is biased towards the people making a profit and not the consumer. I have lost count of the people I have complained to and I think I contacted you at one point . So far I have called Energy advice, OFGEM, my MP, Citizens advice Npower SSE and their other company Equipower. I refused to pay up front for the 2nd Technical Survey and this was subsequently done free. I was told by Npower that I couldn’t have a combi boiler because of the risk of flood and explosion? I have had private surveys done FREE and none of them have said this is a risk. Now Having started again and fought tooth and nail I am having a combi boiler installed with funding from SSE and a cost of £892 to my family. Funding is nor dependent on your income which obviously 1000s of pensioners have discovered and as my Daughter tells me not everyone is as tenacious as I am. They don’t have the energy or often the health to deal with this so you can call it what you like but it is a carefully covered up scam and the few people who do get a free boiler is a fraction of the number who don’t. If these schemes were simple there would be no need for all these experts or all these complaint forums and a start would be for something to be in place to actually investigate complaints and do something about them. Also the main costs of installing a boiler are cranked up by the cost of installation and that depends on where you live and who you end up being referred to via the Energy company. There are unscrupulous people in every walk of life and sadly these “government schemes” attract them all. Hi Lynda. We had to pay £820 towards our so say free boiler. I coughed up as my hubby is very ill, as am i. However we are feeling so hurt and angry now. I completely agree with your statememts. Our boiler was fitted incorrectly. We had to get a local boiler in to sort some things, he said its a really bad installed boiler. We had it installed 1 yr ago (oct 2016). The Compliance certificate has used another name as the installer as we have now found out today that the installer and person that arranged WAS not Oftec registered. How can this happen?? Both installer and contact have now dissolved. The chaps name on the Certificate we contacted and he said he didnt fit it and doesnt know how his name was on our certificate. However Oftec and the local plumber we had to have today said that cannot happen. He would either have given his password and just taken a back hander because nobody can put any bodies name on without a password and registering with Oftec. The wiring is faulty, water in the pump, sooted up within a yr. I do not know where to turn. Oftec are looking into the legal side as of today but as to money or fixing the boiler that is now up to us. I am livid—plus extremely concerned as now we know it has not been installed correctly i wonder if that makes the guarantee for the boiler void. So glad i read your letter, so many others have been or will be taken for a ride. From what I can gather oftec are over run with complaints about boilers fitted under this scheme. I was so messed around by the company that eventually fitted my boiler it was unbelievable and I still don’t believe it has been commissioned correctly. I was left for 5 months with no heat after the first visit, had appointments made where no one turned up, it was eventually fitted but only ran for 2 days it took 6 weeks for them to come back and sort it. Commissioning certificates are issued stating that the installation complies with regs and manufacturers instructions when it clearly doesn’t. I have been left with holes in my wall, a very untidy installation and oil was poured on my lawn killing a large area of grass. By all means get a free boiler but expect to need to pay a local plumber to sort out the mess they make of it. I am contacting you on belhalf of my great grandmother who is 92. she lives in her house which is owned and has a boiler which british gas have cut off as it is over 30 years old and no longer safe. she has had no central heating or hot water since the turn of the new year. She receives pension credit and a company has said they will do the replacement but nothing is being done. i need to sort this asap for her. is this something you can help with? My Mum is 78 and she is in a private rented property. She is on a income support and housing benefit. The house have old back bone boiler and very noisy. do you think she is qualify for this scheme. If there is an old central heating back boiler the answer is ‘Yes’ but there will be charges for altering the pipe work and possibly for removing the old boiler. No. Static caravans fall outside the scheme. I am 86 yrs old and recieve pension credit. My existing combi- boiler is over 10 yrs old and is now having problems with maintaining pressure . Am I eligible for a replacement ? I have been told by British gas my existing boiler is only giving out 73% pressure therefore I qualify for a free New boiler. Can you help me to know who to contact please.I did get a quote from British gas but it’s far too high. Thank you I await your reply. Hi Avril, if you fill out the boiler grants application form on our website (https://www.boilergrants.co.uk/) one of our team members will give you a call and talk you through the next steps (including getting a heating engineer company in touch with you who will be able to quote you on the job). Hopefully this helps, please don’t hesitate to get in touch with any other questions. My 74 year old mother had n power carry out survey only to find,that a broken 12 year boiler is considered efficient. it use to give a f64 fault ,it now is completely dead. The combi boiler has a condenser fitted ,When new had a higher efficiency 12 year ago,N power used excuses such as ofgem to national newspaper ,even pension service and council people were .surprised . Remember a broken 12 year old combi boiler is considered efficient by n power ? The company had been given the go ahead to fit a new boiler but wont they will not even repair it.because of sedbuk rating 12-13 years ago. hello, my mum is 23 and is on pension credit, she own her own home which has a giant old hot air heating system/boiler in the kitchen. She has been approved for radiators & a new combo boiler. This was accepted over a year ago, but we never hear back from the company, when we managed to get hold of them they said they no longer do the scheme. So this year we have been trying to sort it with another company (eon) after the initial assessment they never got back to us again, 6 months later we get them to come back out and they quote £400 for scaffolding outside the building, they also said they will only decomission and not remove the old boiler from the kitchen (this thing is probably 3ft x 3ft square from the floor all the way to the ceiling. We are at a loss as to what can be done, they won’t even remove the old boiler and charge us for it. My mum has tried to apply to the DWP for a loan for the scaffolding but they can only offer half, my mother doesn’t have any savings and is on a low income, would the green deal give a loan for the scaffolding and boiler removal? we don’t even know who to contact about removing the old boiler. My mother has been made ill by all this as she’s always stressing about where the money will come from, and how or who is going to remove the huge contraption from the kitchen. Hi Sheryl. I’m afraid it doesn’t sound as though your mum would meet the benefit criteria unfortunately. Although her boiler would likely qualify, to be eligible for an ECO boiler grant she would need to be in receipt of pension credit or income support. You could look in to the Green Deal, and specifically apply for the Green Deal Home Improvement Fund which pays cashback for carrying out energy saving improvements. The fund is closed at the moment but due to reopen before the end of November. There’s a couple of organisations you can call for advice. The Home Heat Helpline should be able to give you advice about grants, their number is 0800 33 66 99. There’s also the Energy Saving Trust on 0300 123 1234. It might also be worth you getting in touch with your mum’s local authority as they sometimes have help available. Thank you for getting back to me I’ll try your suggestions! my parents are 80 and 83 years old on pensions and DLA they do not get extra pension credits due to private pension are they still eligable for a free boiler their boiler is 18 yrs old. Hi Jean. I’m afraid your parents wouldn’t qualify for the boiler grant scheme. They would need to be on Pension Credit. If they are keen to install a new energy efficient boiler they could consider the Government’s Green Deal scheme, which helps people carry out energy saving home improvements at no up front cost. Green Deal finance is a loan, which you pay back through your energy bills. The idea is that the savings you make on your energy bills would cover the payments. The loan stays with the house rather than the person. However you have to pay a fee to get your home assessed, which is typically £120. I hope that helps. My mum is eligible – she gets guaranteed pension credit. BUT although she pays half the bills including mortgage on our home – her name is not directly on the deeds -Im presuming that this means we wont qualify. Some ask to see deeds others dont(but then they dont have a fitter in the area so cant proceed with these). I thought about saying she rents off me but then I would have to create a rent book. I dont know what to do for the best? Any advice gratefully received. Hi Max. Your mum would need to provide evidence that she resides in the property where the boiler is to be installed. You can use the link below to provide a written statement: it needs to be signed by you and your mum. If your mum would like to check her eligibility and apply for a grant she can go to https://www.boilergrants.co.uk. She may be required to make a contribution towards the cost of the new boiler. Hope that answers your question. I am on pension credit, and applied for boiler replacement . I was told I qualified and had an initial visit. I waited approximately 2 months and then called SSE to find out what was happening. They chased up Swale Heating, and a second visit ensued. Today, approx 1 month later, I received a letter telling me the cost is £1455, minus £622 SSE grant, and that I would have to pay them £833 plus VAT, which equates to £999.60 and that I have 14 days to reply. As I said earlier, I am on pension credit and do not have a bean to spare. This scheme really is of no help to me whatsoever!, and I expect this is the case for many other people in my position. Hi John. To apply for a boiler grant through the ECO scheme you do have to meet strict criteria. If your mum isn’t on any of the eligible benefits than she won’t qualify I’m afraid. She could possibly look at the Green Deal, another Government scheme which enables homeowners to install energy saving boilers and other measures without paying for them upfront. It does involve taking out Green Deal finance though. You can get the most up to date information about grants by getting in touch with the Energy Saving Trust on 0300 123 1234 or give Home Heat Helpline a call on 0800 33 66 99. This is a badly organised scam. We keep getting these phone calls, made by a recorded person (not a live one) which start “we’ve noticed that you haven’t yet claimed for your new boiler. Do you realise…”. Yes we do, We listened all the way through once, and spoke to some one, and soon realised that we have an oil boiler, so won’t qualify. But our number is linked to our address, and anybody who knows where we live should realise (if they’ve got any sense) that NONE of the houses in the rural area we live in has mains gas. So why do they keep ringing? Can anybody tell me how to block these calls? Number is with-held. Hi Steve. The boiler grants scheme isn’t a scam, but I can understand your frustration when you’re getting these calls and you live in a rural area not connected to mains gas. You should be able to report these automated marketing messages. I believe you can report nuisance automated calls like this to the Information Commissioner’s Office. The ICO’s helpline number is 0303 123 1113. Hope that helps. Hi. I’m afraid the replacement of old oil-fired, electric and LPG boilers are not included as part of the ECO boiler grant scheme. It’s just mains gas boilers that are eligible for replacement. Unfortunately I don’t know of any grants available which apply to oil boilers. Sadly you are wrong Kate under ECO if you are on Main Gas, Oil or LPG you can get the boiler replacement grant under ECO. I got as far as being asked what the boiler is, my Mother is not able to get a grant for a new boiler because her non working boiler is to efficient. Hi Tony. That’s disappointing. To the best of my knowledge boilers have to be 86% efficient or less to qualify. Have you heard about the Green Deal Home Improvement Fund and the cashback available? That might be an option for your mum to consider. Basically a new replacement boiler, together with 1 more energy saving measure will qualify for up to £1,000 cash back from the Government. Worth considering possibly. Keep trying all companies – it does not have to be the one you use! Hi Eileen. To qualify for a grant towards a new boiler you would need to be on Pension Credit, I’m afraid you wouldn’t qualify under the ECO scheme with DLA. Being without heating and hot water for such a long time is a worry. Have you spoken to the Energy Saving Trust? They would be able to advise you about any other grants or schemes or if there’s any help available to you. The Government has also launched the Green Deal Home Improvement Fund which pays cashback to households installing any saving home improvements, including new boilers. My dad applied for a boiler, was told he qualified for one and someone come round to look at the boiler etc and said someone would be in contact within 2 weeks to fit the new boiler. A year later and constant phone calls (where he was told someone would call him back but no-one ever did) and still no boiler. He was then called and said the company needed a recent pension credit letter which he sent a copy. A man came to his house at 8:45 am, measured the area where the boiler was to be fitted, looked all around, got dad to sign some paperwork and said he’d be back within two weeks – 6 weeks later and still no boiler. The numbers he has for both companies are now discontinued. Hi Kay, I am sorry to hear about the troubles your dad has endured with the boiler grants scheme. Would you mind sharing which companies? My only advice would be to give https://www.boilergrants.co.uk a try. We continue to help many happy customers benefit from the scheme. Once your dad has completed the short online form, one of my colleagues will call to qualify the details and let you know whether we have an installer in your area. I understand if your dad doesn’t want to be bothered anymore but it would be worth trying I think. May I ask if your dad handed over any money towards the boiler during his interactions with either of these companies? Got a series of recorded messages left on our home phone which blocked it for anyone else to leave messages. When looking at the number used on various websites there are hundreds of complaints about this company/use of marketing. What are you going to do about your annoying practices? Thank you for your question/comments. Are you referring to Holmes Media specifically or just the boiler grants scheme in general? As a company we would only make contact with you if you had expressed an interest in a boiler grant and had submitted your details online. Thanks for taking the time to share your comments. I do understand your frustration. If a poster on this forum mentions the name of their installer, we remove it. We offer a free service to enquirers and put people in touch with our installers who fit boilers under the scheme, so we’re not going to give free publicity to another company. As I am sure you are aware, funding to the scheme has been cut this year. That said, there are still people who are able to get a boiler grant, however the number of installers with funding in place to carry out these installations has dropped considerably. We’re still managing to help people benefit from the scheme. It’s not a scam. It does sound like you’ve had a run of bad luck and I would offer our services, but by the sounds of it I can’t imagine that you would want to make an application for a fifth time. My mother a pensioner applied in november 2013 to british gas for a boiler replacement.they organised survey within 2 weeks and were told that the work would be done in 4 weeks. After waiting til february 2014 I contacted british gas. They booked and installation appointment for March but they did not come. Then they rearranged for June 2014 and they missed it too. When I phoned the British gas they said they could not replace the boiler as they have to do additional pipe work. It seems that British gas does not know what they are doing. Hi. Thanks for sharing your experience of the boiler grant scheme. I’m surprised British Gas have told you they won’t be able to replace the boiler because of additional pipe work. Although of course they are at liberty to turn down the work. Funding has been cut to the scheme, and many companies have already met their targets. However, usually customers are asked to make a contribution to meet the costs of extras, such as pipework. Energy companies do still have an obligation to help, but most people are having to make a contribution. 100% grants are rare at this stage of the scheme. You mum could try again. She could apply via https://www.boilergrants.co.uk. We may be able to help, depending on whether we have an installer in the area and if your mum meets the requirements. Alternatively, it would be worth looking at the Green Deal Home Improvement Fund. It’s a Government scheme which pays cash back to homeowners, landlords and tenants who carry out home improvements from an approved list. Same happened to us. It is a scam. They are just pocketing the money for doing the Surveys. They are only interested in doing loft insulation and Cavity wall. Disgrace! The very same thing has happend to me, i have had 3 assessors and still no boiler, its disgusting, i think i will get onto the consumer programme with Dom and get him to investigate. Thanks for confirming that i am not going mad. One suspects that the government led funding obligation placed on energy suppliers has been utilised exclusively for the assessment process with little or no intention to improve energy efficiency. After all why would these commercial enterprises work to reduce energy use when theres no oversight to ensure they do?. Their remit is simply to allocate the funding and should they spend it all on identifying and assessing without ever ‘turning a spanner’ who’s going to castigate them for it, as I say theres no oversight….. When people attach the term ‘con’ and ‘scam’ they’re really not that far off the mark. Hi, in Dec 2013 we were told by British Gas that because of my wife’s circumstances we would be entitled to a free boiler, she was given a job number & that was the last we heard until today 25/4/14, a call from British Gas saying they couldn’t do the work because of new government legislation March deadline, I wonder how many other are now in this position. Hi Patrick, thanks for your comments. I’m not sure what this March deadline relates to. Although the scheme is undergoing consultation at the moment, with some changes on the cards, boiler grants are still available. Funding has been cut, meaning more applicants are required to contribute some payment towards their new boilers. My advice would be to visit our website https://www.boilerguide.co.uk and complete the short online form. We are continuing to help people benefit from the scheme on a daily basis, so perhaps we can assist you. sorry kate for calling you lynne, I would be very gratefull if you could let me no if we are entitled to a new boiler thanks. Hi Eileen. By the sounds of it you don’t qualify I’m afraid. To be eligible for the current boiler grants scheme you need to be in receipt of either Pension Credit, Child Tax Credit, Working Tax Credit, Income Support, Income-based Job Seeker’s Allowance or Income-Related Employment Support Allowance. My advice would be to contact the Energy Saving Trust. They are best placed to advise you as to whether there are any other grants available to help you. Their number is 0300 123 1234. My boiler is 16 years old and l receive pension credit. A surveyor came round and quoted £750.00 and said the government aren’t giving 100 percent now. Is this true. If so, who do l contact at the council to discuss this? It is true that the Government grants scheme has endured funding cuts, meaning 100% boiler grants are no longer available. The average cost to install a straightforward like for like replacement gas boiler is around £2,300 according to the Energy Saving Trust, so you are still getting a good deal. I’m afraid I can’t help you, in terms of who you should speak to at your council. Hi Lynne. Thanks for your question. Yes, as long as the boiler qualifies, your household would be eligible for a boiler grant with your mum on pension credit under what is known as an informal tenancy agreement. You can find out if the boiler qualifies as long as you have the make and model to check its efficiency. Please visit our website https://www.boilergrants.co.uk and fill out the short online form. Let me know if you need any further help. We have gone through the process with British Gas for my 87 year old mother after an BG engineer told her that her 13 year old boiler needed to be replaced. We were told by British Gas Affordable Warmth Team that she qualified and a surveyor visited her home last week and also said her boiler would be replaced and she would hear in about seven days when the work will be carried out at no cost to her. However, today we have received a call from British Gas informing us that the boiler will not be replaced as it was 86% efficient and therefore did not qualify unless it was below 79% efficient!!! The Surveyor did not appear to test the boiler! I have made a complaint on her behalf by email to BG and am waiting a response. Would be grateful to hear if anyone else has come across this reasoning. Hi Gloria. I am sorry to hear of your troubles with the boiler grants scheme. To the best of my knowledge, both non condensing and some condensing boilers qualify if they are under 86% efficient. So it could be that your mum’s boiler is on the line. The scheme has endured considerable funding cuts of late, but we have many happy customers who continue to benefit from the scheme. If you could provide me with exact details about the boiler make and model, I would be happy to check the efficiency for you. Alternatively, visit https://www.boilergrants.co.uk to check your mum’s eligibility for the scheme. Can you confirm if there is any funding or help available for an 82 year old who had a boiler fitted by warm front 7 years ago and now this is broken. If a new one is needed would she qualify again? It would depend on the efficiency of your current boiler. Although it’s relatively new, there might be a chance that it would qualify. The person in question would also need to be in receipt of qualifying benefits, i.e. pension credit. My advice would be to apply via https://www.boilergrants.co.uk to find out instantly. If successful, it’s highly likely that a contribution would be required at this stage of the scheme due to funding cuts. I have been placed on pension credit guaranteed credit, i understand my boiler being more than 20 years old i should be eligble for boiler replacement. My area does not have gas available so the majority of consumers have oil fired heating, are we being overlooked because we live in a rural location, i live in a village near Wisbech Cambridgeshire. I have e-mailed my local MP but he does not appear to answer e-mails. Any help would be appreciated. The boiler grant scheme only targets gas boilers, oil-fired boilers are not eligible for replacement. If you need help with your heating and energy afficiency I would suggest contacting the Energy Saving Trust on 0300 123 1234. They offer free impartial advice. Unfortunately the boiler grant scheme only applies to replacement gas boilers – oil-fired boilers do not qualify under this particular scheme. My advice would be to call the Energy Saving Trust in Scotland on 0808 808 2282. They will be able to offer you some free impartial advice. There is the Energy Assistance Package in Scotland so it might be worth asking about that. My mother has a very old (25 yrs+) central heating boiler and water tank and got one of the gas companies over to her house to see if she could get a new boiler. They will install a new boiler, but it will have to be a like for like unit, and they no longer install combi boilers (which would be more efficient for her usage) as these units were causing problems in existing pipework (overpressure or something, apparently). Are there any gas companies that will install a combi boiler or even any companies that will accept a contribution to install a combi and pipework upgrades? Hi. Combi boilers are installed under the ECO boiler grants scheme. If your mum has a conventional boiler she should be able to get a new combi boiler installed. The scheme is designed to lower emissions and help households reduce their energy bills, which a combi would do. However if there is a lot of work involved it’s highly likely that your mum would need to make a contribution. But for some installers it could be too big a job for them because they prefer the simpler like-for-like boiler replacements. I would suggest to your mum that she visits our website https://www.boilergrants.co.uk and submits an application there. Depending on the area we may have an installer who would be able to carry out the job. The installers were British Gas, so about as big an outfit as you can get! The technician who visited her said that they used to do replacements from conventional to combi’s, but kept having to come back to problems, so don’t do it anymore. Will have a chat with my mother about boilergrants. Hi Vince. Interesting. I’ve not heard of any installer refusing simply for that reason. Your mum is welcome to apply through us. She just needs to fill out the short online form and one of my colleagues will give her a call to go through her application to see if we can help. My mother is 93, she qualifies through credits but because her boiler is old and floor standing she does not qualify. WHY? The new one could be wall mounted. This is unfair as it raises hope. Hi, as you may have heard, funding has been cut to a degree. When the scheme first launched over a year ago, people were able to get a new replacement boiler for free, although in some instances would have to pay for extras such as additional pipe work, etc. More than a year on many of those who qualify are now being asked for a contribution because of funding cuts. In your mum’s case, because she has an old floor standing boiler which needs replacing with a wall mounted model and that will require more work, additional piping, etc., some installers may not want to take on such a big job. But that’s not to say your mum still couldn’t and shouldn’t apply for a boiler grant. But she would need to be aware that she could be asked to make a contribution because grants are no longer covering 100% of the costs. I would be happy to look in to this for your mum, and see whether we have an installer in her area. Alternatively visit https://www.boilergrants.co.uk and complete the online form for your mum. I hope this helps. I qualify for a grant as I own my home and receive Pension Credit, and there is gas mains to the house. However, my water is currently heated by Immersion heater. Most schemes seen to only REPLACE an existing old/broken boiler. Hi Andy. I take it from your query that you don’t actually have an existing boiler? If that’s the case then you wouldn’t qualify because the scheme provides boiler replacements. So you would need to have an existing boiler that needs replacing. There might be some other sort of heating grant you could qualify for. My advice would be to contact the Energy Saving Trust. The number is 0300 123 1234. Hi Kate, I have read some negative comments ref., boiler grants on this site so I thought maybe my experience will encourage more folk to apply for these grants. I inquired on line ref., the grants on January 29th 2014, I was informed I qualified as I was in receipt of savings pension credit, now here I am on 3/3/14 sitting very very comfortably with my brand new 30 kw boiler already installed, a great job, no mess and I’m one very very happy camper. Hi Pat, thanks for sharing your successful boiler grants experience. That’s great to hear! Hi Marta, I have checked for you and I am afraid your boiler doesn’t qualify. It is 88% efficient and in order to qualify boilers must be under 86% efficient. Your boiler is Rated B for efficiency according to SEDBUK. I would suggest contacting the Energy Saving Trust to see if there are any other grants available to you. Their number is 0300 123 1234. Marta, it’s just a thought. But are you living in rented accommodation? If so I believe your landlord has a legal obligation to fix your boiler if you are without heat and hot water. Thanks a lot Kate for reply! Now I known where I stand. Yes you’re right my landlord should fix it but because we qualify for free boiler he keeps referring me to different companies with means more waiting for nothing, cause they never ask about boiler efficiency and no one say anything about NOT replacing a condensing boiler. So THANK YOU for your blog and help I be still in the dark if it weren’t for you. You’re welcome Marta. I would go back to your landlord. And if you don’t get anywhere give the Energy Saving Trust a call. They offer impartial advice and it’s free. My in-laws contacted the Government benefit Helpline enquiring about a new boiler, they were told they didn’t qualify for a free one, seconds after putting the phone down they were contacted by Tivium, they paid £299 upfront thinking they would be getting a new boiler, an assessor arranged to visit after the 7 day cancellation period, during his visit they realised they would be taking on a debt and declined. What a disgrace to con elderly people out of £299, my father-in-law is 82 suffers from cancer amongst a number of other serious health problems, disgusting this has happened to many others and how interesting they were contacted only seconds after an enquiry to the benefits helpline, I smell a very big rat!!!! Hi Chris, I’m sorry to hear about your in-laws experience. It sounds like Tivium attempted to sign them up for the Green Deal. My 83yo mother who is on Pension Credits applied for a new boiler under the ECO scheme, Her boiler is D Rated (not very energy efficient). Company came round did the survey, 2 months later she got a letter saying funding had been stopped. So she applied again via an online website, she got a call later that day from. Two days later a surveyor came out spend nearly 2hrs measuring etc. 4 weeks later (today) my mother calls and was told by some receptionist person that it was stopped. Personally I think these companies are scamming people. They are probably getting paid for the work that they are not carrying out. Both of these companies were Scottish Companies. Hi Gerry, I’m sorry to hear about your mother’s experience with the ECO scheme. It is true that many companies have had their funding cut. Your mum is more than welcome to apply through our website https://www.boilergrants.co.uk. If we have installer coverage in her area we can see if we can help. We still have installers who have funding to fit boilers under the ECO scheme. It really would depend on where your mum lives. Of course I understand you both may have had enough of the scheme. But we continue to help people on a daily basis benefit from the scheme, although people are more likely to have to make a contribution due to the funding cuts. hi jean I too was contacted by phone to say I was entitled to a new boiler gave details told my boiler was obsolete (20 yrs old) arranged for surveyor he he never turned up another phone call from them saying he had personal home problems gave me another appointment, guess what, he failed to turn up as well . Also I was told I would have to pay £200 if I went ahead and then would receive £270 back after , so kate ,whats your answer to that.Oh that firm was TIVIUM. Were you contacted about the ECO boiler grant scheme or the Green Deal? The ECO boiler scheme provides boiler replacements for people on specific benefits. Initially when the scheme started a year ago people on qualifying benefits received a brand new energy efficient boiler. The boiler and installation costs were covered, although in some circumstances customers might have to pay for extras, such as additional pipe work, radiators, etc. Funding has been cut back somewhat for this scheme, although you can still get a boiler grant, you may have to make a contribution. That’s not unusual. You talk about paying £200 and receiving a cashback of £270? It sounds to me as though you are being offered a new replacement boiler, not through ECO but through the Green Deal scheme. If you don’t meet the criteria to qualify for a boiler grant another way to get a boiler upgrade is through this scheme. You would be required to pay for a Green Deal assessment, this can be anything up to £200. If you install an A rated energy efficient boiler under the Green Deal you are eligible for a £270 cashback. So to me it sounds as though the company contacted you about the Green Deal. Hi Clive. Thank you for sharing your positive comments. It’s always nice to hear good news! My mother(82)has just had her 29 year old boiler replaced in December 2013 and the pump on the Worcester Bosch broke on saturday 15th Feb and replaced today 18th Feb(no heating or hot water for 3 days).No issue with Worcester Bosch but a heating engineer who was calling anyway about a new replacement radiator said this was just the star of future problems he said!He said thermostat valves should have been fitted.The installer said no as they only replaced ones that were worn and the engineer reckoned they had not drained the system and the installer (in Newcastle)said they had.Still awaiting call from the installer as 2 other radiators have stopped working.2 months life for a pump-not good news.Incidentally £199 up front-no explanation just that is what you have to pay.Boiler now working but they seem to have washed their hands re the after sales part so don’t know if the 29 year old radiators will be looked at!Watch this space…. Hi Clive, could you tell us what company was called please as I’m in Plymouth and a reputable company is a must for this scheme. Hi John. If you meet the criteria to qualify for a boiler grant I would suggest you visit https://www.boilergrants.co.uk and apply online by filling in the short online form. We only work with trusted and reputable Gas Safe Registered installers. That’s good to hear that you still have funding David. We generate ECO leads for companies like yourself. Please drop me a line if you are looking for qualified ECO boiler installation leads. What’s the name of the company fitting your boiler? They may be a company we work with? Did you apply online at https://www.boilergrants.co.uk? Hi, I have an elderly acquaintence whose boiler has packed in. She has been advised that she qualifies for a free boiler on this scheme, but nothing has been progressed as yet. once actual submission and appoval is granted how quickly is a boiler installed. She does currently ahve a back boiler so I would suspect this is more work. She is 87 and has been witrhough heating and hot water for over a week now so urgent turnaround is clearly requried. Hi Trevor, thank you for sharing your comments. Depending on the work involved, for example extra piping and radiators, or if you have an old back boiler for example, the company fitting the boiler will likely ask for a contribution. Although it should be minimal compared to the cost of the boiler and installation. The free boiler scheme aka the boiler grant scheme will cover the cost of the boiler itself and the cost to install. So if you qualify you will receive a brand new A rated energy saving boiler for free, including free installation. Contributions, if required, will depend on your existing boiler and central heating system. Hi Trevor. It seems strange that they have asked you for a contribution when it is a straightforward swap and no extras are required. As you would if you were getting quotes for a new boiler installation, you can submit your details with another company and hope for a better deal. Have you used our quote service? If you haven’t I would suggest it might be worth trying again. You can do this by visiting https://www.boilergrants.co.uk. Once you have submitted your details, we’ll give you a call to qualify your enquiry. I would suggest explaining the situation during the phone call. We might be able to help you. Of course there’s also a chance that the installer may ask for a higher contribution. But you are not at liberty to accept their “offer”. what are u not telling me? Ask what seems to ne the problem. Came back the reply, o sorry u cant have a”FREE” boiler as ur carbons low! Says I, surely I could have been told this instead of saying its being fitted FREE ! ITS THE GOVERMENTS FAULT she said and we would want anything upto 400- or more! I declined!! So the person who is replying to these complaints just dont bother to reply to this u can not convince me it is not a scam, yes a few might get a new Free boiler! thats for afew lucky ones, IT looks good for the books boys ! Plus THINK IFWE ALL PASSEDFOR A NEW FREE BOILER Country couldn’t cope now could it !! Thought I’d add a positive post as they seem to be few and far between – just had a new Vaillant boiler fitted under the scheme for my mum and I’m so glad I applied for the grant for her. I was hesitant because it seemed too good to be true and I wasn’t sure that she’d qualify being only on the savings credit aspect of pension credit. However I was assured so long as she was receiving pension credit and given the age and condition of her old non condensing combi boiler she was eligible. It did take a while to get sorted – applied in July last year, the survey was done in August and then heard nothing until November to say that the original company it had been passed to didn’t have the funding for our area so it was being handed over to another installer. I thought it would be another 3 months before I heard anything again but I had a call the day after arranging a date for the installation. Premier Energy Solutions installed the boiler which took about 5 hours – wasn’t charged anything extra even though they moved it to the adjoining wall to the one the old boiler had been fitted to and an external pipe also had to be fitted as it’s a condensing boiler. They are also sending out an electrician to fit a separate digital programme timer which can be moved to whatever room you want it in, also at no extra cost. My mum was paying nearly £60pm to British Gas under their Home Care plan as the boiler was constantly being repaired so that will be cancelled when it’s up for renewal next month. The new boiler is 100% improvement – boiling hot radiators, near enough instant hot water and it’s so quiet! It if saves on the gas bills even better but already saving by not having to pay the hefty BG maintenance contract. My mum’s been in hospital for four weeks and due to be discharged next week so I’m so pleased it’s all been done for her to return to a lovely warm house. Thank you so much for sharing your positive story. Many people have had successful stories to tell, just like yours. Unfortunately the loudest voices tend to belong to those people who haven’t qualified. We know that it is very disappointing not to qualify for a free boiler grant but unfortunately as is the nature of these schemes, they have strict criteria. I’m sure your mum will be delighted to come home to a warm and comfortable home. Thanks again for taking the time to leave your feedback. i was wondering if you could help me im a single mum of 3 reviving child tax credit on low income .I phoned over the boiler grant and been accepted just got to wait for them to come and have a look. My only concern is that i have a back boiler and they said they ll have to put a combie boiler in.I know i ll probably .have-to pay some money cause it ll be expensive but how much would it be . Hi Sharon. It’s up to the installer what type of boiler they install, and whether it’s a combi or a system boiler. Given that your existing boiler is a back boiler it would be highly unlikely that you wouldn’t be asked to make a contribution. I know of some installers who ask for a minimal contribution of £100 and in other cases it’s more. My advice would be to see what they say when they pop round. You’re not obliged to go with them if they are asking for silly money. I can’t tell you how much your contribution would be. I would suggest that if you are unhappy with their estimate that you enquire through our website https://www.boilergrants.co.uk. We’ll qualify your enquiry and put you in touch with one of our local installers. Like you would if you were paying for a new boiler yourself, it’s never wise to take the first “quote”. I completely understand some of the people complaining above. I had contacted Help-Link re: replacement boiler for my mum who is in receipt of pension credit. A survey was arranged. The surveyor spent half a day looking at the system etc. On leaving he informed my mum that she was eligble for a ‘free’ boiler replacement but had to contribute £650. I called the surveyor inquiring about these costs. He said that , firstly, the system was a gravity one and a pump had to be installed ; secondly the old boiler apparently contained asbestos and my mum had to pay for its disposal. I told him that the system has a pump, and expressed my surprise that he did not even ascertain it having apparently spent there close to half a day. In my view this is no more than a scum. They are simply making money out of useless surveys which last many hours but do not provide any relevant information. As far as the contribution is concerned this hardly qualifies as ‘free’. giving you a total cost around £1000- £1200. I think these people pray on vulnerable pensioners whilst taking the government’s money for surveys etc. There is no upgrade in the end, there is no reduction in energy consumption. Thank you for your comments and for taking the time to share your experience. I’m sorry your mum wasn’t able to receive a new replacement boiler in the end. The boiler grant scheme provides a free boiler and the installation costs are covered too. However it’s not unusual for people to be asked for a contribution, usually to cover things like extra pipework and radiators. The scheme doesn’t cover these additional costs but the boiler itself is free. Hi Stephen. The boiler grants scheme covers the boiler and the installation costs. So the product and the cost to fit the boiler will be free if you qualify. However in some circumstances you may have to cover some of the costs, for example for radiators or extra pipe work. It’s not uncommon. 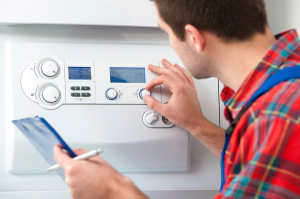 For a straightforward boiler replacement you would be looking at around £2,300 on average. Thanks for your comments. we are covering the Northwest and are based in Rochdale, installing free boilers under the Goverments Eco scheme all of our customers are very happy with our new Worcester Greenstar boiler we install, our turnaround is normally within 10-14 days. to iftikhar ahemed yes and pigs will fly. do you have to be 7ft 6 inches and ware stiletto condensating shoes and put £500 ponds upfront, no thanks iwill keep my fur jacket wrapped around me and use hot water bottles okay thanks all the same. Thought I might as well join in, I also have applied for a free boiler after being told over the phone I was entitled ,I was then put through to another person who told me I wasn’t , the reasons being although I am a single foster carer on income support with a long term placement ,she is not counted as part of my household , also I get some help with my mortgage ,but this is not counted as housing benefit ! I was told if I could claim some more benefits I would be entitled ! blooming great !! I’ve had a very good experience. The installer was quick and gave me a brand new Vaillant boiler completely free of charge. In fact, I know eleven houses on our street that have benefitted from this scheme. A truly happy customer. Thank you for your feedback. A lot of people have successfully applied for the boiler grant scheme and it’s refreshing to hear some positive comments for a change! This whole scheme is a complete waste of time for anyone to bother with. As usual it is a con by the energy companies and a lie by the government. I have read most of the comments here and find the same problem cropping up.. ie. NOT ELIGIBLE!!!!! My partner, pensioner aged 68 with health problems, in receipt of State Pension and Pension Credit, also with a daughter under the age of 16 … and a completely BROKEN BOILER. Some months ago he was told to apply for a new boiler under this rubbish scheme. First of all one survey carried out with photographs taken. Then, after being totally messed about by a different company, another survey. The person attending this time said they needed furniture moving and carpets taken up and we would hear within a few days when the boiler would be fitted. After waiting a week, my partner telephoned to find out progress… only to be told it had been refused by the energy company Southern Electric. On speaking to them they then said it was not them who refused it, but the contractor…. the contractor said it was not them… and so it went on…. from the three different companies involved in this, none of them accept responsibility for refusing the installation. I am totally amazed that there are these ridiculous “get-outs” of wrongly rated boilers etc. As far as I am concerned, a pensioner with no savings, ill health, living in a house with a broken boiler SHOULD QUALIFY FOR A NEW BOILER UNDER THE GOVERNMENT SCHEME. If not… WHO DOES?????? … or … need I ask that question! The most ridiculous comment in the replies here is that the boiler is A rated and so is uneconomical to replace….. WHAT! if the boiler is broken… and is removed…. and a new boiler fitted…. what does that mean? Everyone forget this stupid lie of a scheme, and protest to whoever you can, show them all up for their lies and deceit. Its just an advertising con to make people believe the government are actually helping people.. only those who are really in need are the ones who know the truth behind it. As this is an open forum, we are keen to hear both good and bad feedback from our readers regarding the Government scheme. So I thank you for your comments. I understand you haven’t had the best experience in applying for a new boiler under the boiler grants scheme. Unfortunately we do not make the rules and can only help people according to the strict criteria set by the Government. If we could, we would love to help every single pensioner in ill health with no savings and a broken boiler benefit from the scheme. Central heating has unfortunately become something of a luxury for many and we wish that wasn’t the case. It shouldn’t be. It does seem particularly unfair when you meet all of the benefits criteria but your boiler doesn’t qualify. Sadly on this forum we seem to only hear from people who haven’t been successful in applying for a boiler grant. There are many, many people who have met all of the criteria and had a new boiler fitted. Really!!!!! so why have none of the successful applicants posted on here to say how great the scheme is, or say thanks???????? Simple way of not involving the contractors and sub-contractors….. (but I guess they must be paid by the government) is as soon as someone applies… ASK THEM IF THEY HAVE AN ‘A’ RATED OR CONDENSING BOILER and if they say YES then tell them immediately not to waste their time. Nobody will convince me that this is a legitimate scheme to provide boilers to those who cannot afford to purchase a new boiler. If it was, then A Rated or Condensing… if it is BROKEN then it would be replaced. It’s usually the way isn’t it. We rarely hear from satisfied and happy customers. But everyone is entitled to a voice and an opinion. We actually telephone qualify everyone who applies for a boiler grant via our website and part of that process involves getting as much information about the existing boiler (make, model, age, etc) as possible. A lot of people don’t know the efficiency of their boiler. Not everyone knows whether it’s A rated or in what SEDBUK banding it falls. No one wants to waste time, when quite clearly an application isn’t going to be successful. Thanks again for your comments. to sarann Roberts, you are 100% correct its happened to me twice, I am on guaranteed pension credits I am widowed age 72yrs my boiler is faulty they both said I qualify, the first one said will you be up at 8.30pm for them to come and fit the boiler, at 10pm a phone call from them saying bad news I have been knocked back, so I get another as you do they came took photos of the deeds, and pension credits entitlement, oh yes we do qualify, a few weeks after a phone call saying sorry some bad news our company have over ordered, we can keep you on our mailing list its like you say a scam and disgusting, I have been asked to nominate a person to these installers and they will give me £40.00 if they get the survey I think they are on a better wages just to survey your entilements and then say some bad news we are out of stock so many different excuses, its like you say sarann a government scam to make out they are do gooders, I have not finished with this scam after all the trouble they have put me through its going to the newspapers, and it will uncover whos being corrupt, its another l c p fiasco. I was assessed for a free boiler and in Oct Swale Heating called to say I qualified and could I pay £280 towards it. Stupid me, I was so delighted, I didn’t ask what the contribution was for. Boiler was fitted but no extra piping or radiators were needed (only earthing basin, radiator and cord light pull) The installation caused a leak on piping above boiler which they claimed was not their responsibility. Contacted Citizens Advice but can get no reply out of Swale in spite of a recorded delivery letter to MD, email and phone call quoting Supply of Goods and Services act 1982. I have contacted my MP and will try to re-claim money back from Credit Card. Do you think it is worth applying again? Thank you for your comments. You are correct in the fact that A rated boilers are not eligible for the boiler grants scheme. Boilers which fall in to the A banding are 90% and above efficient. Only non condensing models and condensing boilers under 86% efficient qualify. Therefore as a general rule that applies to B rated boilers also (86-90% efficient). It would not be worth applying again given that your boiler is too new and too efficient to qualify I’m afraid, even if it is broken and unrepairable. Sorry I can’t provide you with better news. If you haven’t managed to get your boiler repaired or a new boiler installed you might want to use our free quote service to obtain up to 3 no obligation quotes for a replacement. You can do this by visiting https://www.boilerguide.co.uk. What a ridiculous reply! If this person could afford to pay for a new boiler or repair to the old one he would not be applying for a boiler under this scheme. What is the purpose of obtaining quotes for something which we all know will be totally overpriced and out of reach for a pensioner to pay. I actually felt it was a fair comment to make. We are here to provide a service and if someone unfortunately doesn’t qualify for the scheme and needs a boiler replacement there are other options available to them. Firstly, by sourcing competitive quotes installing a new boiler may not be as expensive as you may initially think. Also some companies don’t require all of the money up front and some will supply and fit a new boiler for a weekly or monthly installment, providing another option. One such company, Hassle Free Boilers, which is part of the Eco Vision Group, will install an A rated Vaillant boiler and include full heating and hot water system cover for £36 a month. The Government’s Green Deal (yes, another Government scheme I’m afraid) is also another option and enables homeowners to install energy saving measures, such as new energy efficient boilers, without having to pay for them up front. I would think most people would like to be made aware of all available options, rather than suffer without heating and hot water. …. possibly…. all I know is that the adverts for “paying a low monthly price” for a new boiler – first of all request a deposit …. £1,000.00 or more …. so that is the end of that for many people. Thank you for your comments. I am sorry to hear about your experience with the boiler grants scheme. If you qualify the boiler and the fitting of the boiler is free. However in some cases there are additional costs which have to be met by the recipient of the boiler, for example if extra pipework is needed or radiators, etc. It’s not unusual to be asked for a contribution and given the age of your system there may be quite a lot of work involved. Although I don’t know what the £1,000 is for, that does sound like a huge amount. Did you get a breakdown of what the replacement work was for? Hi Ken. Sorry to hear about the issues you’ve been having applying for a free boiler under the Boiler Grants Scheme. My advice would be to visit our website https://www.boilergrants.co.uk and fill in the short online form. A member of our friendly team will give you a call to check your details and see if we can help. They will only replace your boiler if you have gas central heating. I have oil so don’t qualify. I don’t have the option of having gas as there is no gas supply in my village. Hi Fionamg, we have now started accepting applications for oil boilers, so it may be worth trying to apply for a boiler grant again this year. Hi Ken, I am sorry to hear that the installer has not been as informative or as responsive as we would usually hope, in some cases the amount of grant that is allocated to an installation does not cover all the costs involved so occasionally an installer will ask for a contribution to cover these costs. In most cases the boiler installation is completely covered by the grant and this is what most installers assume before carrying out a survey. It sounds as if upon completing the survey the installer realised it was not as straight forward as first assumed. If they have not carried out the installation and then attempted to charge you without prior consent of the additional charge then I believe this is not allowed, however if you are fully aware of additional charges then you have to consider this. In this case it could be that the boiler is not completely free but you can still have a new boiler installed at a much lower cost, I would recommend getting a quote for a paid-for boiler (mentioning the conservatory) from https://www.boilerquotes.co.uk to see how it compares. I applied for a free boiler and was contacted by an installer, Wirral Homes. A survey was done. Despite phoning several times, I heard no more. I applied again and was contacted by an another installer, Help-link. A survey was done, an installation date arranged and a message left the day before cancelling the installation. I have phoned several times, they are evasive and I can’t get any information. My experience of this scheme is smoke and mirrors. Hi Jenny, sorry to hear you have had some problems with some installers. This does sound very unfortunate as the majority of those approved for a grant have boilers installed within 6 weeks, occasionally there can be problems with the coordination of a government-backed nationwide scheme and a network of independent installers. We’d like to try and help you so have arranged for one of our customer service agents to get in touch with you to try and find an installer that can do the work for you. I hope someone could answer a few questions for me. I am a Landlord and one of my tenants is on benefits that qualify for a free boiler. The company working for Scottish/British Gas) came out to check the property (I was not there at the time) but told my tenant that I needed to change my gas supply at my house (not the rented house) to get a years warrenty on the boiler in the rented house. Also they have said that the room thermostat that is in the livingroom (this room has the smallest radiator and takes the longest to heat the room) will be moved into the hallway above the largest radiator in the house. the room thermostat is put in the coolest room with no TVR on the radiator and you adjust the other rooms with TVR’s so that the house is warm throughout. If they put the thermostat over the largest radiator it will reach the temp very quickly and switch the boiler off before the rest of the house has warmed up. arnt landlords suppose to pay for there own boiler replacements. My mother qualifies for a free boiler & the company who are fitting it want to install a Vokera boiler. These boilers don’t get the best reviews & I’ve personally had one break down just after the two year warranty was up. I’ve heard some companies under the same government scheme are fitting the far superior Worcester boiler. Why are some companies carrying out this work installing budget boilers & others installing quality ones? Also do those that qualify get a choice or is it take what you get? Yes, some companies are installing Worcester boilers. Ideal, Baxi and Vaillant are other popular makes associated with the free boiler scheme. It really does come down to the installer at the end of the day. They will fit the boiler that they deem best suited to your property and where possible it will be like for like. It you already have a particular make of boiler they will try to install as similar a replacement as possible. I’m afraid you do not get a choice of what boiler you receive. As you say it really is take what you get. Thing is the boiler is based on their choice and the driving factor isn’t suitability alone, its cost…..
And given the reliability issues and high maintenance costs associated with ‘Combi’ boiler’s, you wonder why the emphasis isn’t on a system boiler instead. Certainly the two thing’s clients aren’t preparing themselves for is the costly to repair failure rates on these complex units and the prospect of having to replace their new and shiny boiler with 10-12 years……. PS. One guy here quotes having a 45-year old ‘Servowarm’ heating system removed. Well that system originally consisted of a ‘Masterrad’ that heated the other emitters on the system. It would later be superseded by a conventional boiler….But couldn’t todays manufactures learn something from Servowarm who could manage to produce a product that had longevity rather then having as my daughters did, a Worcester Greenstar who’s main heat exchanger failed within 9-years of installation. Cost to repair, £660 for the heat exchanger plus a days labour, so little change from £1k for most. I have heard of companies charging like this. The scheme provides a new A-rated energy efficient replacement boiler and the cost of installing said boiler for free if you meet the eligibility criteria. However, in some circumstances customers may have to meet some costs, for example where extras are required, such an additional pipework, radiators, etc. It’s not unheard of and it sounds as though this may fall into the extras category from what you’ve told me. The free boiler scheme has proved very popular and some customers are having to wait months, although 5 months is rather a long time. I recently heard about ” the new free boiler scheme ” for those who fit the criteria. Well this seemed to good to be true (as it always is) .So i rang your company on 23/10/13 and dicussed the matter with your colegue Jamie. I informed him of my situation telling him my personal details and that i had a 13 year old unreliable combi boiler . So he now knows that my my boiler does not fit the criterta “which i learned later”. Knowing this he still authorises a survey. The part that i am not happy with is that you know i do not qualify but you still send someone round to my property to take photographs of the inside and outside of my house and my personal details,” national insurance number,pension credit details etc”. The last thing he looks at is my boiler and says “oh looks like you wont get a new boiler as yours is condensing one” so the survey was for nothing .I am very unhappy about this situation .You have invaded my privacy for the only reason of your company getting paid for the survey and that you have gathered information about me and my property for your own purposes. As your letter states” Our expert will talk you through any energy saving improvements you can make ,but he didnt. “after the assessment we,ll call you to discuss the recomendations and the next steps”.After two weeks you hav,nt even got the courtesy to do that. I would therefore ask you to delete all of my personal information that you gathered on the day and i request a letter stating that all of my information will be deleted from all computers involved. Also that you do not use it for maketing or any other purpose. Did you send me the energy report?. Thank you for your comment. If your boiler is a condensing combi model, as you so state, then it won’t qualify unless it is under 86% efficient I’m afraid. Did the npower representative tell you how inefficient your boiler is? Installers must follow strict criteria, however I understand your frustration. We would be able to check that your boiler didn’t qualify if you would like us to, although I understand you probably don’t wish to give another company your personal details. I cannot really comment on the service you received from npower, but regards to your personal details, you are completely within your rights to request that npower removes all of your information from their database and I would contact them again if you haven’t heard anything within the next couple of weeks. I understand how frustrating it is, when you obviously meet the benefit criteria and your boiler doesn’t. There are other energy saving home improvement options available to you, through the Green Deal scheme which you may or may not have heard of. It enables homeowners to install energy saving measures at no upfront cost by taking out Green Deal finance. Thanks for your quick reply. I did read which i will show you a copy of. If your boiler was over 10 years old and cronky like ours is . Even tho it is a condensing type you could still be eligable for a new one. This seems to be a bit of a grey area to us what do you think. I might even go for another survey. If you can recommend anyone better than npower i would be grateful. If you already have a working condensing boiler and it’s less than 10 years old then your boiler isn’t going to be eligible. Boilers must be broken or old and inefficient to qualify for the scheme. Schemes like these often seem to have grey areas. At the end of the day it can come down to the company installing the boiler. The scheme was introduced to replace old inefficient non condensing boilers, whether they are still working or broken/faulty, with new A-rated energy efficient condensing boilers. However, I have recently been informed that some condensing boilers may indeed qualify, but it will depend on their efficiency. As I mentioned in my previous post if it’s a condensing model it would need to be under 86% efficient. You’re welcome to use our service by visiting https://www.boilergrants.co.uk. You would need to fill in the simple online form. Once you’ve provided us with your details, one of my colleagues would call you to confirm your details and check whether you qualify before we would release your enquiry and take it further. I would say it’s probably worth us double checking whether you and your existing boiler qualify. Hope that helps. Thanks for your offer but before i take you up on it. i,ve found the efficiency spec of my boiler ,enclosed below. modulating (22.3 – 22.3 kW)	90.0 %	90.6%. Now my point being, How can this guy assess the efficiency of my boiler by taking photo,s of it. He has,nt even switched it on. or done a C.o. test on the emissions of it nor has he turned a tap on to see if weve got hot water. The thing is Kate, the boiler is 13 years old with plenty of faults. my 13 year old cars emissions are at least 10 times that of todays models. Have these people got any lateral thoughts or do they plod along like old blinkered horses. I’ve actually looked into the efficiency of your boiler and I have found that it falls into a Band B, which means it is between 86-90% efficient. Your particular model is 88% efficient and is therefore not inefficient enough I’m afraid to qualify, even if it is 13 years old. I thought it would be worth double checking for you, just to be sure. We use the SEDBUK table to check efficiency, which is why we ask for the make and model. The SEDBUK table refers to the Seasonal Efficiency of Domestic Boilers in the UK. No one would be able to check how efficient your boiler is, just by looking at it and taking photos. All they need though is the make and model. Sorry it’s not good news! Just to say thanks for all your efforts and info. Sorry I couldn’t give you better news. Give the Home Heat Helpline a ring on 0800 33 66 99 and see if they have any advice. Just Google Home Heat Helpline. All the best to you. I have a free standing non-condencing boiler and a survey has been carried out and I am told that my new boiler will be a wall mounted non-condencing boiler. I was under the impression that all boilers installed via the free boiler sheme are rated high efficiency condencing boilers. Do I not qualify for a combi to replace my old boiler? The free boiler scheme has been launched to enable eligible homeowners and private tenants to upgrade their old inefficient boilers to a new energy saving condensing model. I can’t understand why you’ve been told that your replacement will be a non condensing model. That goes against everything the scheme stands for. They must be condensing boilers. Hi.just had my new boiler fitted under the goverment replacement scheme.I was charged £90 for extra work carried out.As I do not have a radiator in the living room they have turned of my gas fire which is connected to my old back boiler.left with no heating in the main room..now they are coming out and charging me £100 to fit a new radiator can they do this. Hi David. Sorry to hear about the issues you’ve been having. The ECO free boiler scheme provides a free boiler and free installation. If it’s a simple straightforward swap then you shouldn’t have to pay a thing. But you’re likely to have to pay for or at least contribute if extras are required, such as additional pipework or radiators in your case. I cannot advise you about an installers liability. I would seek some free independent advice from an organisation like the Energy Saving Trust – their number is 0300 123 1234. I own a 1 bedroom flat.I am 74years old company who maintained my 7 year old boiler will no longer do it .Am I entitiled to a new boiler.Heard from someone that because it,s a flat I can,t have one?. Hi Veronica. To be eligible for a free boiler you would need to be on specific benefits, for example Pension Credit. Your boiler is relatively new, but it might qualify. It would need to be a non condensing boiler or if it is a condensing model, under 86% efficient. While flats aren’t technically excluded from the free boiler scheme, not many free boilers are being installed into flats. My advice would be to visit https://www.boilergrants.co.uk and fill in the simple online quote form to check if you qualify. Hope that helps. Hi Louise, boilers can be installed in flats or maisonettes under the boiler grant scheme however not all installers are willing to carry out the work due to how the grant is issued. Whenever a free boiler is requested a survey is done to calculate the energy rating (or EPC) of the property and works out how much can be saved in terms of carbon emissions. The value of the grant that is issued to cover any installation work is proportional to the amount of carbon that could be saved. Occasionally the value of the grant will not cover the cost of the installation work or mean that doing the work is unviable for the installer. This could either be because the amount of carbon that can be saved is small, usually in the case of a small property such as a flat or bungalow, or that there are some additional work that needs to be done to install the boiler, like maybe it is in awkward place to get to and a wall needs to be removed or something. If you have had a boiler installer take a look at your property or refused because of the type of the property it is probably due to this reason. The scheme is due to change slightly next year however and this may change how the scheme is operated and may mean that smaller properties are more viable for a boiler grant in the future so I would recommend re-applying in 6 months time. hi kate Anderson, I just had to reply again instead of all the trouble of doing the survey, when a person gets in touch with an eco company why don’t they ask if its a condensing boiler they never asked me I no why now because they are on good wages doing surveys what a scam. Thank you for your comments. I cannot speak for other companies and installers. In our case, when someone fills in their details on our website, our team will make contact via the phone. As well as checking their benefits, we also qualify the boiler. That means asking for the make and model and age where possible to check whether it is a condensing or non condensing model. I’m sorry you have had such a bad experience with the boiler grant scheme. thanks kate for your early reply top marks thanks but iam giving this eco shambles a miss. A neighbour of mine who is 70 and receives pension credit has been contacted by a company called Tivium see their website. The say Green Deal is a government scheme and that my neighbour can get a free boiler if she pays £200 for an assessment. She has paid them £200 for an assessment and they say she qualifies and she can now have a free boiler. Reading this site it seems Green Deal is not a government scheme but is endorsed as such and that my neighbour is entitled to a free boiler anyway and didn’t need to pay the £200 fee. Can you confirm? Given that your neighbour receives Pension Credit, as long as her existing boiler qualifies she should be eligible for a 100% boiler grant which provides and fits a new energy saving boiler at no cost. I’m not sure why she was charged £200 for an assessment. There are no assessment fees under the Energy Company Obligation scheme although I have heard of some companies charging, which they shouldn’t be doing. You also mention the Green Deal. This is also a Government scheme, but it’s different to ECO and suitable for people who want a new boiler fitted but who don’t qualify for the free boiler scheme. You can get a boiler fitted under the Green Deal without the need to pay for it upfront, but it is essentially a loan which you pay back through your energy bill. There are fees for Green Deal assessments, however if you go ahead and have a new boiler installed with Green Deal finance, the £200 should be refunded. So it sounds as though there’s some confusion here. From what you’ve told me, your neighbour should be eligible for the ECO free boiler scheme, and should not have been asked for a £200 assessment fee. I would advise your neighbour to give the Energy Saving Trust a call for some free advice on 0300 123 1234. Explain to them what’s happened. This definitely needs to be taken further. If all else fails, contact Ofgem and make a complaint. Best of luck. Please do let me know if you need any further advice Keirron. Your cannot complain about an individual company to Ofgem. Try trading standards. If you meet the boiler grants criteria and you’re eligible for a free boiler under the Government’s Energy Company Obligation, the boiler and the installation will be free. The only time you might need to put your hand in your own pocket is if any extras are required, for example extra piping. If it’s a simple straightforward swap and the boiler is sited in the same location then there shouldn’t be any extra cost involved. The scheme provides 100% free boiler grants. I don’t know what your extra costs would be for. You need to take this further. I take it you haven’t paid any money upfront? I would suggest getting in touch with the Energy Saving Trust for some free advice. Their number is 0300 123 1234. You could also contact the energy regulator Ofgem. If you wish to check your eligibility, you can do so by visiting our website https://www.boilergrants.co.uk. Thanks for your comment. 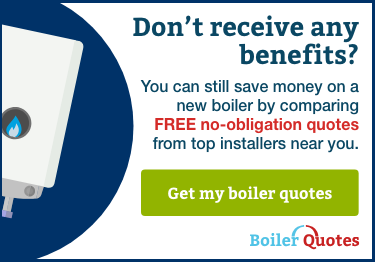 My advice would be to visit our website https://www.boilergrants.co.uk and complete the short online form to check whether you are actually eligible for a free boiler grant. I am on Savings Pension Credit . Does this entitle me to a a free boiler? Yes, if you are on Pension Credit, as long as you are a homeowner or live in privately rented accommodation. Your boiler must be eligible too. Namely it needs to be a non condensing boiler or, if it’s a condensing model, under 86% efficient. Visit https://www.boilergrants.co.uk and complete the short online form to check your eligibility and apply. I have been told from a well known energy supplier that my elderly mother is not entitled to a free boiler because she only receives the savings element of the pension credit and not the guaranteed element. Can you confirm? To the best of my knowledge as long as someone receives State Pension Credit they are entitled to a free boiler. If it was simply a State Pension without the Pension Credit top up then they wouldn’t be eligible. However as your mum receives Pension Credit she should qualify. I would suggest visiting https://www.boilergrants.co.uk and checking your mum’s eligibility by completing the online form. I have an eight year old boiler which is not working I have had an energy rating survey on my property and it has been rated band F no heating system installed .I am on income based job seekers allowance with a work related activity component do I qualify .it is starting to get cold now and of course I have no heating or hot water. Your boiler certainly sounds as though it meets the qualifying criteria to be eligible for a free boiler replacement grant. Basically the boiler would need to be a non condensing model or, if it’s a condensing boiler, under 86% efficient. It also sounds as though you receive the required benefits. I would suggest visiting our website https://www.boilergrants.co.uk and completing the short form. We’ll tell you straight away whether you qualify. There is a Government scheme running currently called the Energy Company Obligation, which provides free condensing gas boilers to qualifying households. You have to be on specific benefits and the boiler has to meet certain criteria too. If you are in receipt of Pension Credit for example, providing your boiler qualifies (given its age it should do) then there’s a good chance that you would qualify for a boiler grant. Visit Boiler Grants to apply. If you aren’t eligible for a free boiler grant I would suggest ringing the Energy Saving Trust for some free expert advice. The number is 0300 123 1234. I hope that helps, best of luck. Only non condensing boilers are eligible, and as a general rule the boiler would need to be at least 10 years old. The key to the scheme is the boiler’s efficiency. If it’s efficiency is under 86% then it’s likely to be a non condensing model and therefore eligible to be replaced. Boilers which are classed in Band A and B (SEDBUK Ratings) have an efficiency of between 86% and 91.3%, which is probably the band your boiler falls into. So by the sounds of it your boiler isn’t old enough or inefficient enough to qualify I’m afraid. To be entitled to a new boiler through the ECO scheme the existing boiler has to meet specific criteria. The grade refers to SEDBUK ratings which act as a guide to how efficient the boiler is when it comes to turning fuel into heat. If your nan has a boiler that is a SEDBUK rating B then it is likely to be a condensing boiler and therefore not eligible. Only non condensing boilers qualify. To the best of my knowledge boilers have to be under 86%. Boilers with a B rating are between 86-90% efficient. The key is the actual percentage. Grade D boilers range from 78-82%, C between 82-86%. Do you know the make and model of the boiler, to check its rating? Pension credit is a qualifying criteria. However your boiler has to be eligible too. Specifically it has to be a non-condensing model. If your boiler is relatively new then it’s likely to be a condensing model, and they don’t qualify. We would need the make and model of the boiler to check whether your boiler qualifies. Serial numbers can often be found on a visible sticker. Older models tend to have the serial number on the inside front panel or on the top of the boiler itself. Are you still looking to get a free replacement boiler through the ECO scheme? I’ve not heard of anyone having to pay money up front like this. The free boiler scheme is exactly that and if you meet the eligibility criteria you will receive a new replacement boiler installed for free. Charging money upfront like this isn’t acceptable and it’s not what the scheme is about. My advice would be to go through https://www.boilergrants.co.uk. If you qualify we will be able to arrange for an installer to provide this service for free. I too was contacted by out of the blue by Tivium. An assessor came round to the house and said that he needed £199 up front as they would be installing a Worcester Bosch boiler and this would cover the difference of the cost to install a more superior boiler. He also said that it would be installed within 6-8 weeks. After 8 weeks I contacted their HQ in Newcastle and was told there was a backlog and would have to wait 4 months. I contacted the assessor who promised to look into this for me as he was under the impression that this was incorrect information. He has not been back to me. I am now convinced I have been conned out of £199!!!!! How do I get this money back? I would advise contacting the Citizens Advice Bureau regarding this. The telephone number is 08454 04 05 06. If you qualify for an ECO funded boiler replacement you shouldn’t have to pay anything.Citizens Advice Bureau can refer matters to Trading Standards, who in turn decide whether to take on the case. I believe that my wife and I qualify for the boiler replacement but it may be necessary for us to move later next year…would we have to make some payment if we move home? To the best of my knowledge there wouldn’t be any charge/fee if you had a free boiler installed under the ECO Boiler Grant scheme, and then moved home. You can check your eligibility and apply if you visit https://www.boilergrants.co.uk. Energy companies have an obligation to fund the installation of free boilers as part of the Government’s Energy Company Obligation. If you are eligible and as long as it’s a straightforward boiler replacement and there’s no extras (piping, radiators, etc) then yes, the boiler and the installation is free. As far as I am aware there aren’t any hidden payments or hidden charges added onto your gas bill, although no doubt energy suppliers take these sorts of schemes into account when the time comes for them to increase their energy tariffs to all customers. Energy suppliers have just announced plans to increase fuel prices yet again – SSE so far but others will follow. By installing a new energy saving condensing boiler you could save up to £310 on your annual bills, if your existing boiler is G-rated for efficiency. To be eligible for the free boiler scheme people have to be in receipt of very specific benefits, including Pension Credit and Income Support. If your mum only receives a basic state pension and not Pension Credit then I’m afraid she won’t qualify for a free boiler replacement. It might be worth you giving the Energy Saving Trust a call on 0300 123 1234. They may be able to offer you some free advice and point you in another direction. I have been told the boilers are covered under this scheme but if new radiators are required or need moved or extra pipework supplied this isn’t covered and needs paid for by the customer. Yes, if you meet the qualifying criteria and are eligible for a free boiler then the boiler itself and the installation is free. If there’s any other work required such as pipework the customer will need to meet any extra costs. To find out if you meet the eligibility requirements go to Boiler Grants by following the link in the article and fill in the simple online form. My parents are pensioners and have just purchased a flat with no heating at all. They are not getting any benefits at all would they possibly be entitled to any help with central heating installation ? Unfortunately from the sound of their situation a free boiler under the Affordable Warmth scheme (to which this article refers to) isn’t going to be an option. Unless your parents are on benefits then they aren’t going to qualify for any sort of grant or funding. You could look into Green Deal finance, a Government scheme which would enable energy saving measures to be installed at no up front cost. It’s a loan which is attached to the property rather than a person or persons. If I were you I would give the Energy Saving Trust a call. Their number is 0300 123 1234. They may be able to offer some useful advice once you’ve explained the position your parents are in. Sorry the news isnt more positive. I take it that your parents live in England? There are different initiatives for other parts of the UK but usually only available to people on certain benefits. Thanks for your enquiry. I’m sorry to hear about the issue your mum is having with her boiler. A boiler shouldn’t pack in after just 3 and a half years. I would suggest trying to get in touch with the company who installed the boiler to see if this can be addressed somehow. It’s pretty poor that it won’t work. Unfortunately even if your mum met the benefit criteria, because her boiler is so new she wouldn’t qualify for a new boiler under the Government’s Affordable Warmth Obligation scheme. So that’s out. You could get in touch with the Energy Saving Trust. If you explain the situation to them they may have some useful advice. Their number is 0300 123 1234 – it’s a national rate number. Obviously with the colder weather I understand how important it is for you to get this sorted out for your mum before winter arrives. Sorry I couldn’t be of more help. The links do not work. has the scheme finished? The scheme is still running. I gather you mean the links in the article? I’ve just checked and the links do work. Hi. I’m looking into this for my gran can you help please? My gran only currently receives her state pension, lives alone in an owned property. Can you tell me if she would qualify for a boiler upgrade and if so how to go about getting 1? Thanks. Thanks for your question. Your gran would either need to be in receipt of Pension Credit or Working Tax Credit (over 60). If you or your gran visit https://www.boilergrants.co.uk and fill in the online quote form you’ll be told instantly whether your gran is eligible and how to apply. I hope that helps. Also, for your information, although back boilers are included in the free boiler scheme it won’t be like for like but rather a wall mounted condensing boiler. Hi, my 92 year old mother in law was contacted about free boiler scheme and told she qualified. When the installer arrived he walked in and saw it was a back boiler and said it couldn’t be done. They had been told on phone it was Baxi back boiler. Why aren’t these included in the scheme. Back boilers are included in the ECO free boiler scheme but not as a like for like replacement. If your mother-in-law meets all of the qualifying criteria then she should be entitled to receive a free boiler but it won’t be another back boiler, it will be a wall mounted new condensing boiler. However not all installers will touch back boilers, only certain installers/companies will replace an old back boiler with a new modern wall mounted model. I would suggest visiting our Boiler Grants website and completing the online form. Hope that helps. Please let me know if I can be of any further help. I’m sorry to hear about the delay getting your free boiler installed. On average it can take 8-10 weeks for the larger energy companies to complete the installation. With smaller firms you’re generally looking at around 6 weeks. Some installations can be completed in 2 weeks from initial visit, but it’s more than likely to be longer. I presume you have the contact details for the Sunderland firm? Have you tried making contact with them? I am a manager if Jinnah day care centre which has day care provision for older people. we are a registered charity. we are in urgent need of a new boiler. Can we get assistance/grant to fit a new boiler? Pensioners who own their own home or rent privately and are in receipt of specific benefits can apply for the free boiler scheme. So I’m afraid as a business you wouldn’t be eligible for a free boiler as part of the Government’s ECO scheme. Another Government scheme called the Green Deal might be your best bet. The scheme enables homeowners and businesses to make energy saving improvements without having to meet the upfront costs. It’s essentially a loan which you pay off in installments through your energy bill. I don’t know how old your existing boiler is, but with a new A rated for efficiency boiler you’ll be able to make savings on your energy bills. You can find out more about the Green Deal by visiting http://www.greendealguide.co.uk. Alternatively it might be worth contacting your local council because often councils run their own affordable warmth schemes.